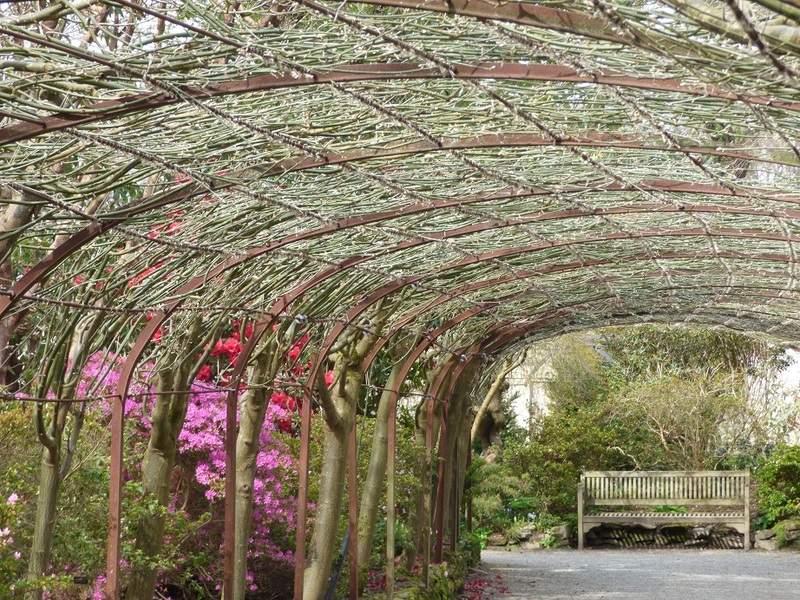 Bodnant Gardens in 15 minutes? 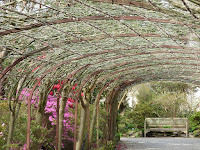 Yes, I nipped in on my way home from Llandudno just to see the Laburnum Arch. I’d seen it in winter just after two of the gardeners had spent 5 weeks pruning and tying it in. What a contrast! I’d seen pictures but never the blooming reality; no disappointment. Lots of people were enjoying the spectacle and they all seemed happy. It has an atmosphere or aura that makes you want to smile. A still photograph can capture an instant but not the movement, the sounds of bees and shifting light. So go and see it if you can; another couple of weeks of glory to go.